Welcome to AidanBooth.com, thanks for visiting! Having been in the physical product eCommerce business for over a decade now, and especially since we opened our office in Guangzhou, China, in 2015, I’ve learned a thing or two about negotiating with Chinese suppliers, and that’s exactly what this blog post is about today. Your ability to negotiate will set you up to secure solid profit margins, or to struggle to make ends meet, it’s an absolutely VITAL skill to possess if you’re involved in buying inventory in China, or anywhere else for that matter. What I mean by this is to find out what you’d pay for a non-customized item if you were to buy in bulk. If you’re starting from scratch with a new product, for example, a camera case, it helps to know what you could get that camera case for if you were to order a large quantity, without customization. Alibaba.com gives a pretty good estimate, but you still need to ask the question to the supplier to hear what they can really do. Once you’ve got your price, you have a starting point from which to continue. If you come into a negotiation uneducated about the product you’re trying to develop and buy, you’re starting off on the back foot and immediately handing a huge advantage to the manufacturer. Don’t get me wrong, we always aim for a win-win and that’s something I’ll discuss shortly. But remember this, the Chinese will NOT do a deal where they’re losing out, so don’t fret about that… what you do need to worry about is if you put them in a position where they NEED to cut corners, and end up delivering a sub-standard product, hence the win-win approach. Getting back to doing your homework, if I wanted to get into the camera case space, I’d learn about the different fabrics used (exterior, interior, padded lens pockets, etc), the hardware used (zips, latches, clips), the amount of material needed and the required case size, the color, the grade of fabric, the weight of a finished product, and so much more. I’d understand the raw costs of these materials, and I’d try to understand (if possible) the manufacturing processes used. Is the product hand made? Made by automated machinery? Or a mixture of both methods? I’d also want to understand the market, and what the key players are doing. Regardless of what you’re selling, you’ll always have down and dirty cheap products, the kind you see on AliExpress.com, and higher end no-cost-spared products. It’s beneficial to understand the specifications of these products so you can talk to the manufacturer in language they understand, and show that you also know what you’re talking about. This alone will shave percentage points off the price you finally end up paying. An expansion on hack #2, the more specific you can get about what you need, the easier it’ll be to ensure you’re getting what you paid for, and in fact that you’re getting a good deal. Don’t freak out… most people don’t go to this degree of detail, especially when they’re getting you started. But I promised to teach you how to negotiate like a local in a Chinese flea market, and THIS is how you do it. 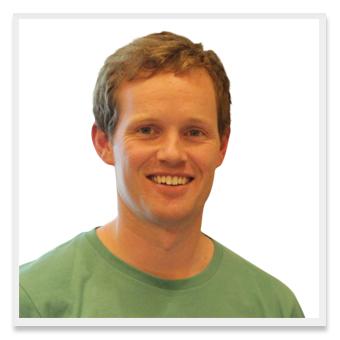 You can get good results just by applying a few of the simpler hacks covered in this article. After establishing a starting price point, and after then going back to your supplier with your list of custom specifications and desired purchase quantity, you’ll be given a new price, for the sake of example, let’s say it’s $13.75/unit. As a preliminary step to this, you should already have an idea of your desired market price point based on the grade of product your developing, and your marketing abilities. Let’s say your desired (realistic) sell price is $40. You’ll now need to be willing to make some concession here. The manufacturer will likely want to downgrade materials, sell you a larger quantity, or move the transaction back in their favor in some way, and this is absolutely fine. Maybe 2 mm neoprene is actually FINE for what you need, so you’ll accept that (instead of the initial 3 mm). The point is, this hack sets you up to get a better price and puts the onus on the Chinese manufacturer to figure it out, otherwise they stand to lose the deal. Good old supply and demand working in your favor! This is possibly one of the most powerful hacks of all, and one that has multiple positive spin-offs for you. First, you’re generating competition, and this will keep your supplier working hard and providing a good service. Secondly, your supplier will know that they don’t have a monopoly-like control over you, after all, you’ve got a plan B working in parallel. Thirdly, in many cases a second manufacturer will allow you to ramp up your production, if you’ve current got a limit on output with your first manufacturer. In some cases, your supplier may think you’re bluffing, which is fine, you can order with your second supplier, and come back to the first supplier again at a later date. In most instances though, if you can show you’ve got a real offer, you’ll get a better price that what you started with. It’s hard to beat face-to-face interaction when trying to strike up a deal. Going to the factory shows that you’re serious, and commands better prices from the outset, it’s also a once in a lifetime experience, where you’ll be wined, dined, and treated like an emperor! Regardless, visiting face-to-face at some point will help you get a better deal. You’ve got certain numbers you need to hit, and so do your suppliers, and HOPEFULLY there’s a middle ground you both have in common where the deal becomes a win-win. If you’re able to build up an honest and somewhat transparent relationship with your supplier, you’ll have an easier time when it comes to finding that happy middle ground. For example, if your supplier says that it’s difficult for them to apply a barcode to your product, because it’s labor intensive, then look for an alternative solution, and you may both be better off. Or if doing quality checks on-site isn’t really supported, but you’re insisting on it, you may end up doing more harm to your product than good… it may be better to get QA done at another facility designed to do QA. Regardless of the path your negotiations take, for long term success you’ll need a supplier that’s prospering, and your supplier needs you to prosper as well, so try to find a way where you both win. MOQ stands for ‘minimum order quantity’, and it’s a key consideration when you’re getting started with a new product. We find that a comfortable first order MOQ is around 200 – 300 units for a product which may cost $5-$10 to manufacture (obviously the starting MOQ varies enormously from niche to niche, product to product, but this will at least give you a starting point as to what’s possible). In order to reach an MOQ of 200 – 300 units, we normally start off by looking at suppliers who are willing to offer 500 units as an MOQ… this puts you within range of finding a deal. If you start with suppliers who are talking about mega orders of multiple thousand units, you’ll never get them down to what you’re after. Once you’re established and selling well, you can look at changing to a bigger supplier, who will likely give you decent price breaks and maybe even make a superior product. In addition to the above, you can also say that you’re willing to accept a higher price for your lower MOQ order, with the condition that the price is revised once the MOQ is reached. Don’t get attached to anything. At the end of the day, the numbers are king in this business (and any business really), and you need to be able to make a decent margin, or there’s no point in doing it. If you’re offering a fair price, and your supplier can’t meet it, then walk away. Move on, and find another supplier. China is the manufacturing Mecca of the world, and there are ALWAYS alternative suppliers. Don’t fall into the trap of thinking you’ll be able to raise your prices to make it work, or that you’ll be able to reduce your prices later (even if you very well may be able to do both of these things). You need your product to work from the get go, and you need to build enough buffer in to protect yourself when you launch, so don’t get attached, and walk away from the deal if you need to. And don’t just walk away if the price isn’t right, be prepared to walk for other reasons too. For example, if your supplier pulls out any shenanigans, or plays any games, you’ve always got the option to walk. Sometimes the reasons are real, and you should be aware of that… but at the same time, don’t let a supplier take you for a ride and try to rip you off. Don’t ask for everything on your first date. Build a relationship before you ask for payment terms and other benefits. Once you’ve built report with your manufacture, and more importantly, trust, you’ll be amazed at how much they’ll be willing to sacrifice to keep your business. We’ve got suppliers who are willing to start orders for us without even getting a deposit. Others who pro-actively find ways to reduce our costs and look for new win-win scenarios. Price negotiations must be done at the right time. If you’ve already made commitments to your supplier, for example, perhaps you’ve paid for a tool to be made specifically for you, then they know that you’re pretty much tied in, and unlikely to back out of any deal already made, so will NOT come back to the negotiating table. And if no deal has been made, then that’s even worse, because now they have you in a choker hold, and you’ve got almost no wiggle room. The exception here is if you have an established product, at this point, and especially if you’ve got multiple manufacturing options, you can come back to the negotiating table in a fairly strong position. It pays to keep a record of raw material costs, so you can monitor that you’re getting a good deal on an ongoing basis, it also shows that you’re not a stupid gringo, and are aware of market conditions. If you see raw material prices drop, you may want to ask your manufacturer about that and see if you can pocket some of the difference. 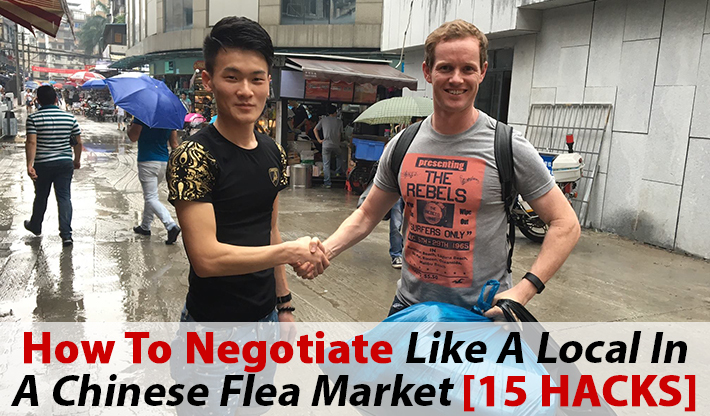 If you really want to negotiate like a local in a Chinese flea market, you’ll go a long way to doing it by engaging a local. One of the main reasons we opened an office and hired a team in China was to have feet on the street, people who speak the language, know the culture, and are able to carry out a lot of the negotiation on our behalf. But you don’t need an office to do this, you can hire a ‘sourcing agent’ in any city in China quite easily, just post a job on Upwork.com, or Freelancer.com, you’ll be inundated with candidates! Expect a lengthy and drawn our negotiation time period, especially if you want to get the best deal. The Chinese know that most westerners just want to get the deal done and move on to the fun part, selling product and making money, so they use this to their advantage, and in some cases will actually try to deliberately wear you down until you eventually just agree to their terms… but be patient, it’s worth it. You can’t rush the Chinese, and you shouldn’t want to do that anyway. Flesh out all the trivial details to ensure you’re on the same page, and you get what you want. If you talk, walk, and look like a newbie, the Chinese manufacturer will use this to their advantage and tear you apart. Conversely, if you approach every stage sourcing, communication, and negotiation, you’ll get a better deal. But how do you do this if you really are a newbie? 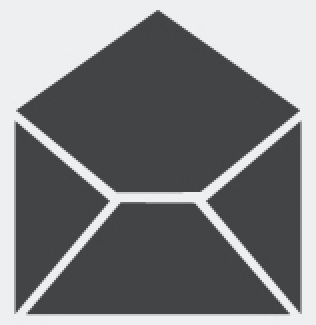 Set yourself up with a ‘@brandname’ email address (this instantly gives you more street cred than gmail). Tell them you have an office in China, and be specific as to where it is. I’m not saying you should lie, but if you’re using an inspection center, you could say that’s your office. Our company does have an office and team based in Guangzhou, all our product passes through it, we always make this known to suppliers. Speak about your business as though you’re already well established. Ideally you want to be able to tell suppliers that you do millions of dollars worth of sales each year, and have a large product line. Like the old corporate adage, “fake it till you make it” is quite useful here! Got a question? Got a comment? Leave it below. Great post Aidan. What are your thoughts on the importance of dealing with the actual manufacturer versus an agent (middle man)? Ideally you should aim to deal with the msnufacturer as it eliminates another mark up, but we have seen quite a few examples of good trader relationships over the years, so they can be winners. Hi Justine, this kind of behaviour is pretty normal when they really don’t care that much for your business.. I would be a bit firmer with them, and look for other suppliers!